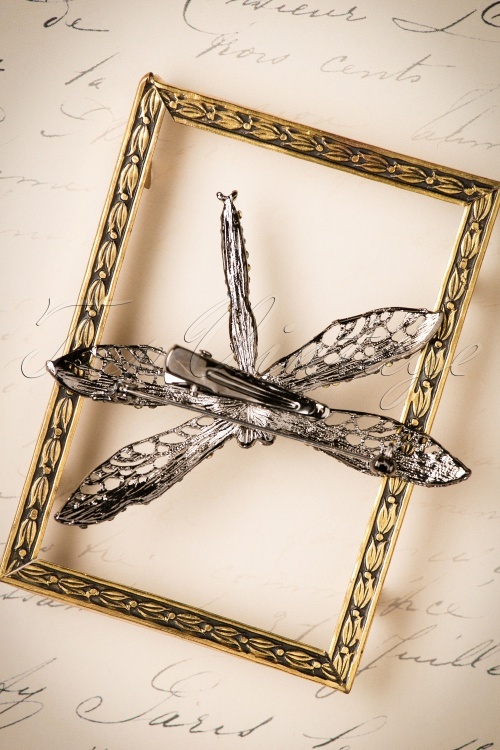 Make a statement with this 20s Sparkling Dragonfly Hair Clip and Brooch in Silver! Enchantingly beautiful and in gorgeous colours! 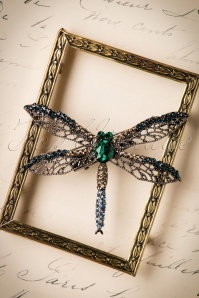 And in some cultures they believe that if a dragonfly sits on your shoulder, all your dreams will come true! 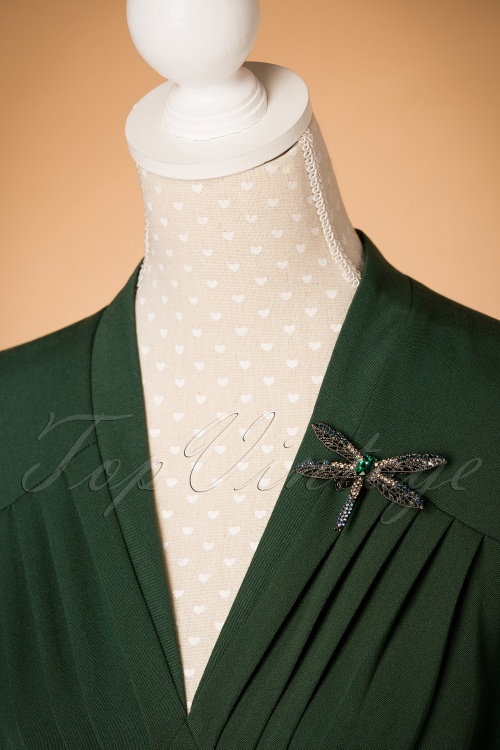 In the mean time you can just pin this gorgeous brooch on your favourite item! 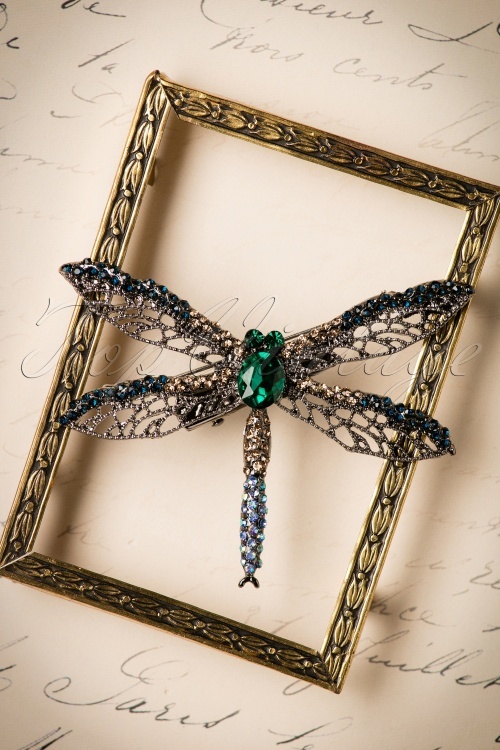 She's made from antique silver toned metal featuring dozens of crystal stones in green, blue and honey brown. A versatile must-have piece because you can also put her in your hair due to the handy hair clip. Be like a dragonfly. Pretty to see, but hard to catch! Der Rucksack ist in echt sogar noch schöner als auf den Bildern! Hochwertige Qualität, kräftige Farbe und einfach toll anzusehen. Ich bin verliebt! Wie immer blitzschneller Versand und die schönsten Sachen, die man haben kann!